Every brand wants to put their advertisement in front of interested customers. Now, Google just made that easier. With a new targeting took, Customer Match, gives brands the ability to target specific customers based on a list of customer email addresses, phone numbers or addresses that you upload. When you share your data with Google, it can target the specific contacts you uploaded or look for similar customers to show your ads to. Why are people so excited about this? It gives brands the ability to put ads in front customers that are likely interested in your product. That means these ads will be cost effective as they target the right customers immediately. You will have to follow a few rules though. Adwords' Customer Match requires that any customer data you upload be collected through first-party context, so it's vital that your customer information is collected directly from your physical store, website, app, or other direct-contact means. Some campaigns will be better suited for specific Google channels. Targeting holiday shoppers with product demos would fare well on YouTube, while retargeting inactive app users might best be done through Gmail ads. Potential customers who aren't even aware your product or service exists may become customers after seeing your ad on Google Search offering the perfect solution to the problem they're Googling. Likewise, cost-comparing shoppers can be reached on Google Shopping looking for the best deal before stumbling upon your ad offering free shipping or a low-price guarantee. When choosing channels, the key is to think like your customer. 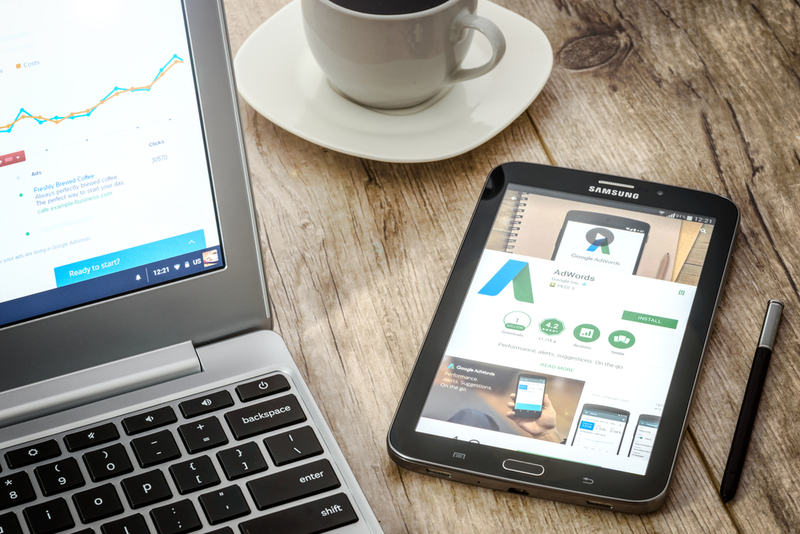 Whether you're looking to boost sales or just increase brand awareness, AdWords' Customer Match feature can expand your advertising reach though hyper-targeted channels. Marketers are constantly looking to create a 1:1 customer experience and these targeted ads should help achieve that goal. Evan Tennant, Adtaxi's eCommerce sales manager was recently featured as an ecommerce expert in two articles focused on the luxury shopping category. Private Air asked what happens when ecommerce meets high fashion? “Luxury shopping is defined by two narratives,” Tennant explains. “First, companies like Louis Vuitton, Burberry and Gucci love to tell their stories, their history. Another one is their service – that whole white glove touch.” The new multi-channel site offers a new way to achieve both goals, according to Tennant. In fact, he maintains that luxury fashion retailers can tell their stories even better online than in their brick and mortar stores. “This is a chance to really up your game,” he says. “There is no better place for storytelling than the Internet. “If you are looking around a Louis Vuitton store, you are probably not going to take the time to read a book about the history of Louis Vuitton, but on a website, you can barrage (customers) with your company story.” Tennant acknowledges that there will always be fashion customers who want to visit actual brick and mortar stores to feel the fabric and to try things on, but he mentions that increasingly, these same customers often leave the store to comparison shop online. “Whether a customer buys online or in person, you can still offer them that same level of luxury service,” says Tennant. Luxury Daily brought to light on LVMH and it's multi-brand ecommerce move, Evan once again weighed in. "As research from major Amazon merchants shows, the synergy between crosschannel marketing and running alongside the consumer throughout the path to purchase creates a hockey stick model of optimization," said Evan Tennant, ecommerce sales manager at AdTaxi, New York. "Taking a piece out of the puzzle can create a barrier along the journey," he said. "Whether a new conglomerate marketplace serves a research engine or is a force to drive revenue, the synergy is energy worth harnessing for any major etailer. "Transparency also goes a long way with today's consumers. If they had a predisposition to any of the conglomerated brands prior, chances are, by landing on a brand or category they initially sought and seeing affiliation, it would increase trust and reputation over tarnishing it." Ecommerce can be a big area to tackle for businesses, and focusing solely on the point of conversion can ignore the customer experience. Adtaxi recommends applying smart budget segmentation strategies across all stages and span cross-channel & device to influence more valuable consumers. Learn more about Adtaxi's ecommerce approach and custom solutions.